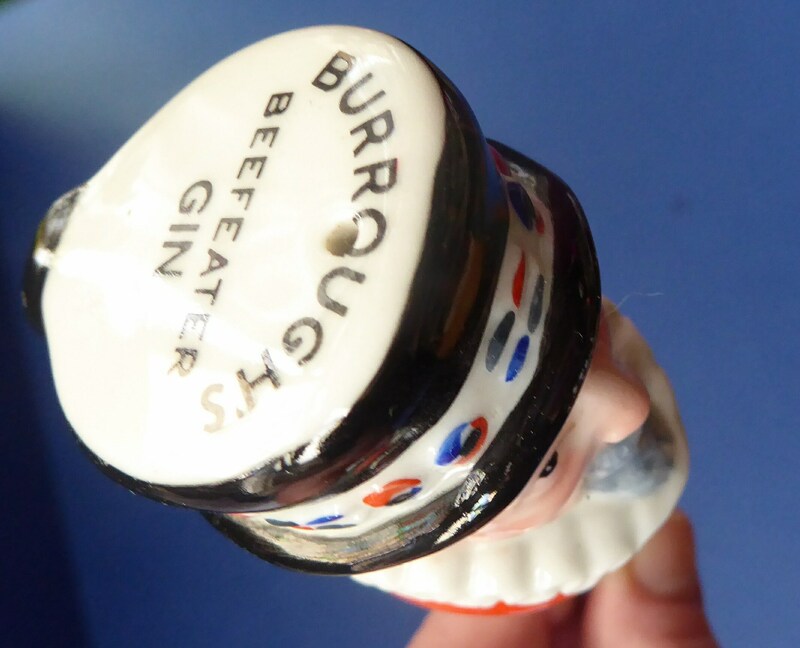 This is a vintage porcelain pourer used to advertise Burrough's Beefeater Gin. 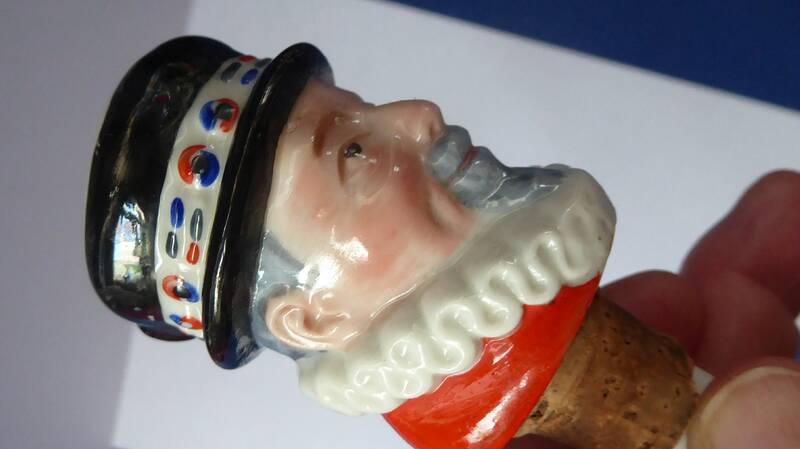 It takes the form of a Beefeater or Yeoman of the Guard - who are on duty at the Tower of London. 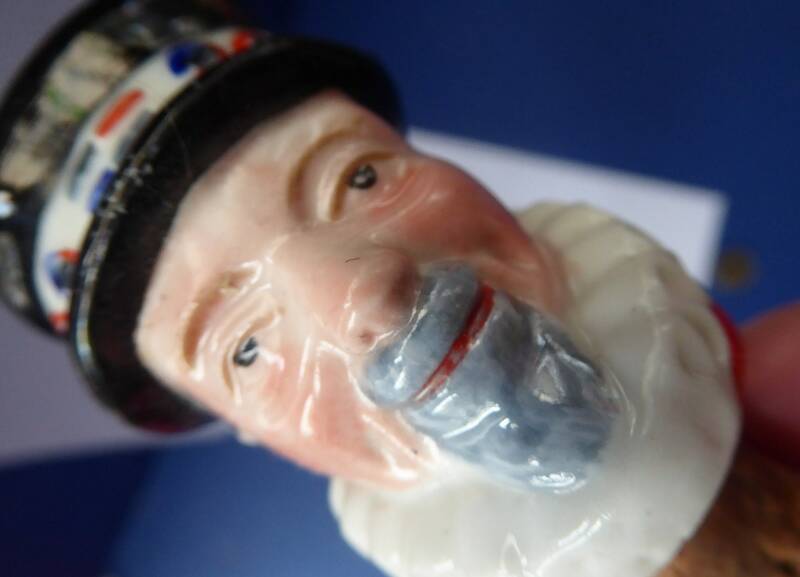 Although not marked as such - but it was probably made by Wade. 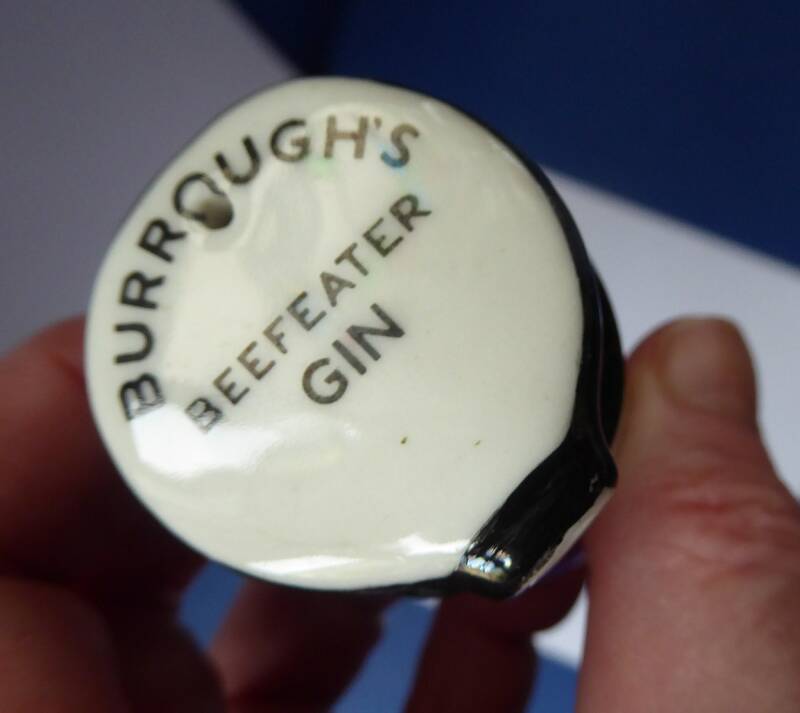 The pourer would be a novelty item which you would place in the neck of a bottle of gin and it would act as a bottle stopper and pourer - there is a long hollow porcelain tube which goes in the bottle - and a hole on the top where the gin would come out of when the bottle is tilted. 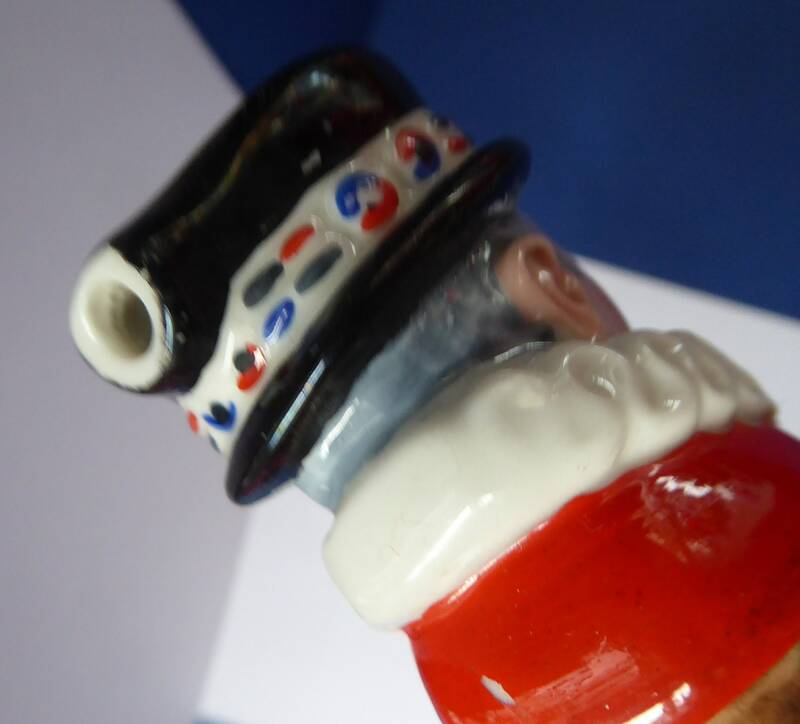 The bottle pourer measures 11.5cm and is in very good condition, no chips or cracks. 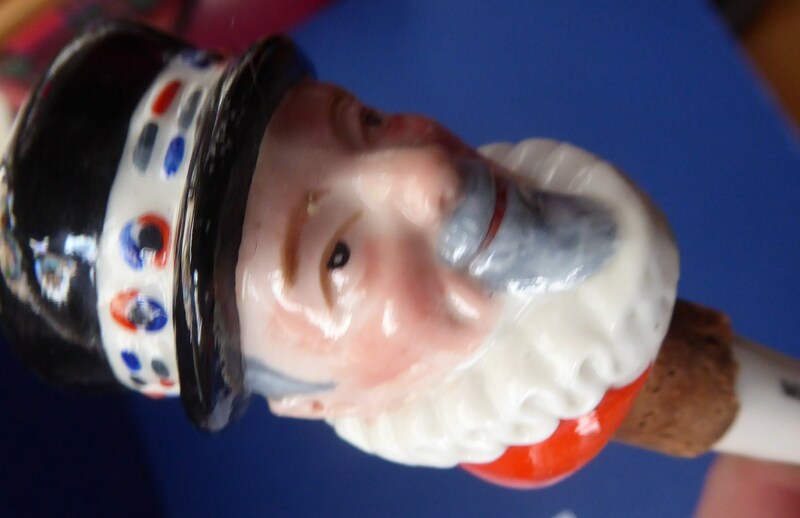 There is a little loss to the cork at the back, as photographed. 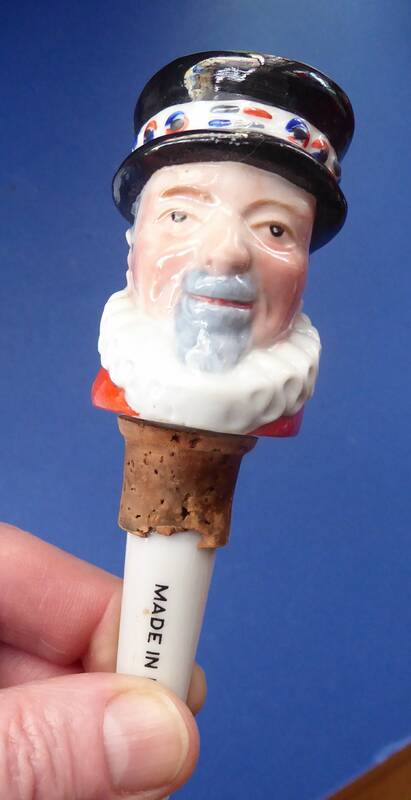 A more unusual example to add to your collection of drink's accessories / advertising items. It will have to be sent in a wee box to keep it safe in transit to you.